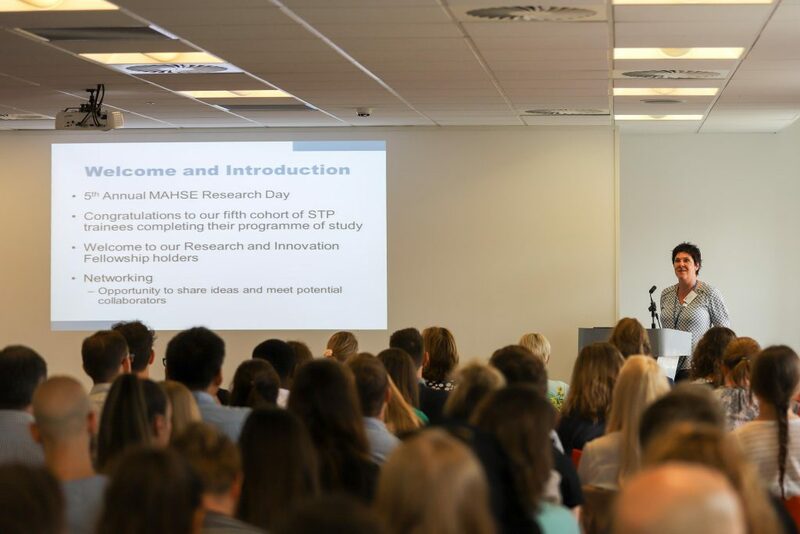 On Monday 4 June 2018, MAHSE held the fifth annual STP Research Day at theStudio, in Manchester, which was attended by over 110 trainees and delegates. 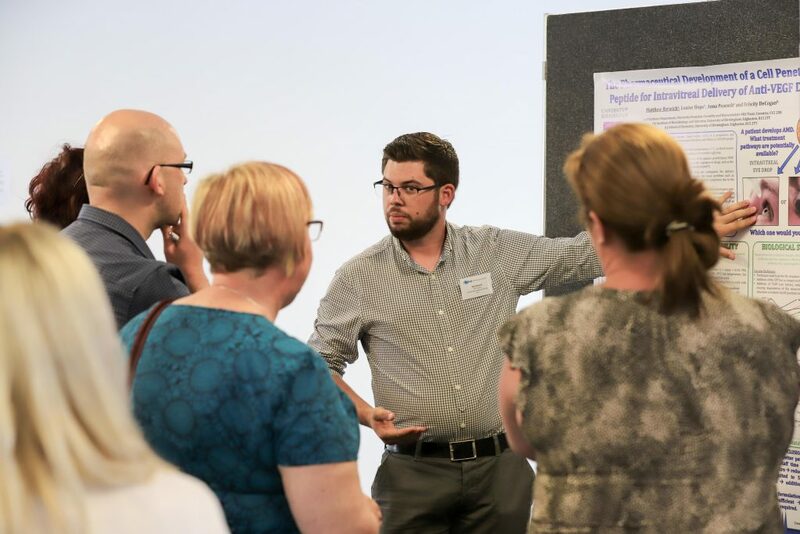 The programme included poster presentations from seven students and talks from a further six students, all showcasing research projects from a range of disciplines, as well as presentations from two 2017 Service Improvement and Innovation Fellowship holders. MAHSE was delighted to welcome back Dr Elaine Cloutman-Green, Principal Clinical Scientist for Infection Prevention and Control at Great Ormond Street Hospital, as the keynote speaker. Elaine gave a talk about her career journey to becoming an influential Clinical Scientist, and some of the challenges she has overcome. 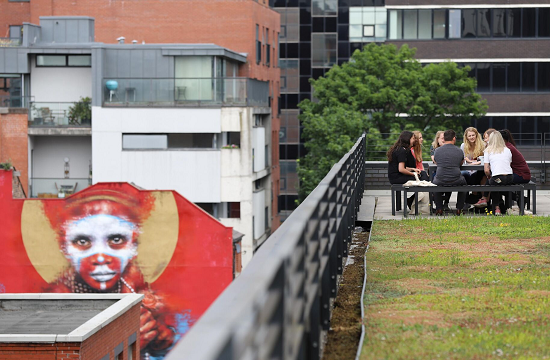 She spoke about the importance of engagement, not only with colleagues, but also the need for outreach and engagement with the public, to ensure future improvements and innovations within healthcare science. 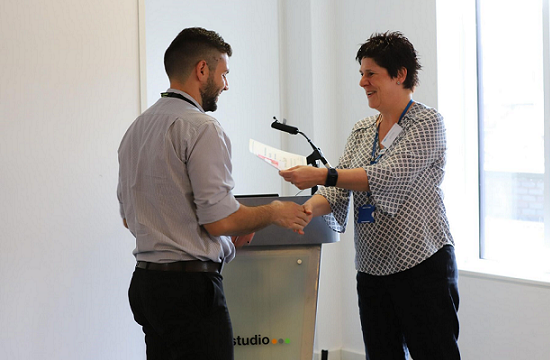 First prize for the student presentations went to Audiology trainee, Andrew Causon, who looked at Electrically-evoked auditory brainstem responses (eABRs) and how they can be used as a pre-operative test to verify auditory nerve function in cases of auditory nerve hypoplasia. Throughout the project Andrew compared various stimulation techniques in eABRs and identified that extracochlear stimulation was the preferred approach for testing auditory nerve function because it consistently produced results for all patients, without the need for exploratory surgery. 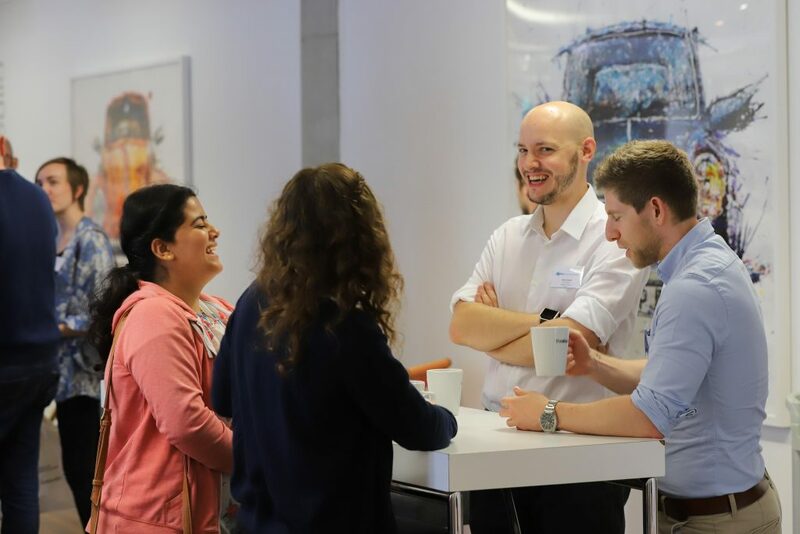 Feedback from the event shows that trainees found the keynote speech to be motivational and they valued the opportunity to network and share knowledge with their peers and potential collaborators. 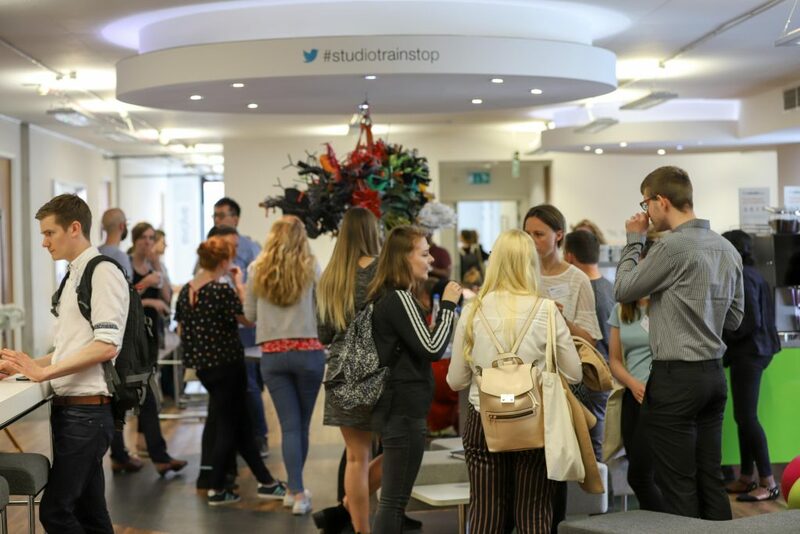 Delegates continue to be impressed by the range and standard of the research being undertaken by third year trainees and first year trainees felt that the programme provided useful ideas and tools to help them begin preparing for their own research projects. Andrew Causon (Neurosensory Sciences – Audiology): An assessor-blind comparison of stimulation techniques in pre-implant electrically-evoked auditory brainstem responses (eABRs). Verity Fryer (Clinical Bioinformatics – Genomics): Evaluation of in silico tools for pathogenicity prediction of missense variants in the diagnostic laboratory. gical wafer material and conventional orthognathic surgical wafer materials. 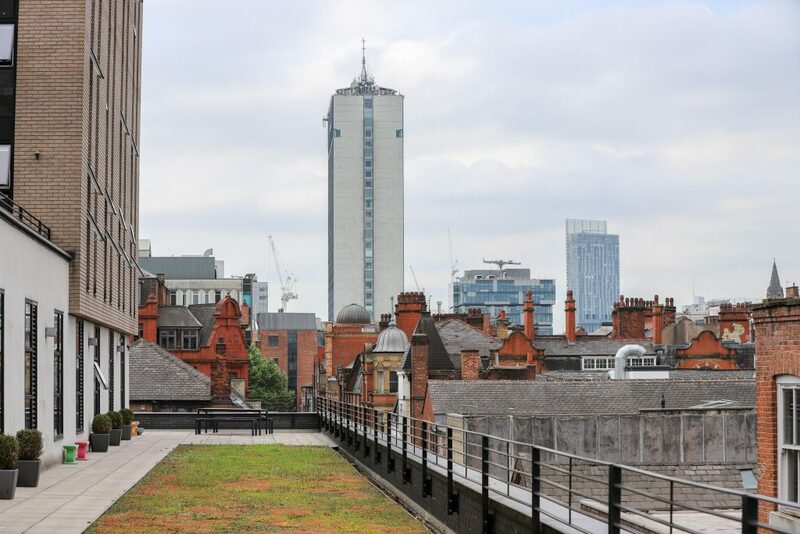 Elizabeth Smith ( CCVRS Sciences – Respiratory and Sleep Science): Could portable CPAP improve the exercise capacity of adults with tracheomalacia?